There's a reason why you have a flat finish on your gun - and now here's a cleaner to maintain that finish! 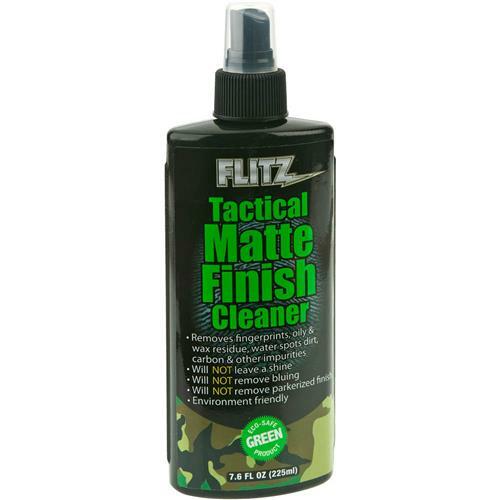 Instantly and easily removes fingerprints, oil, grease, water spots, soil, unwanted wax residue, carbon, and other impurities, while NOT leaving a shine, harm your bluing, or remove parkerized finish. Environmentally friendly, 7.6 oz.